Pilots are some of the people in the world who live the most fascinating lives. The Air Navigation Pro team believes that listening to the stories of aviators from all walks of life will inspire more people to venture into the esteemed profession. 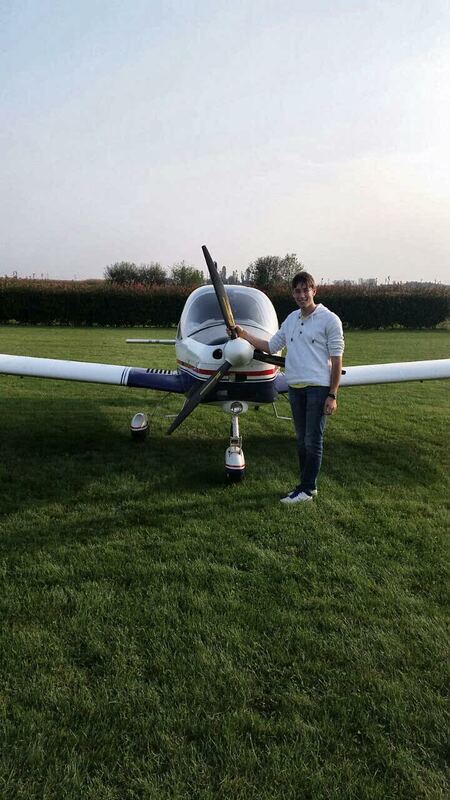 Today we feature Mirko Ragni, a 21-year-old pilot taking up Aeronautical Engineering at Politecnico di Milano. I’ve studied at the aeronautic school in Como and I started flying in a small airfield near Milano. The first aircraft that I’ve flown was a Tecnam P96G with 80 HP. It was a fantastic airplane and since it was the aircraft in which I learned to fly I have a special bond with it. Now I fly an I.C.P. Savannah S which it is not as performing as the P96 but fun to fly all the same. I’m now doing the apprenticeship to become a flight instructor at Cogliate airfield. This is amazing because it gives me the opportunity to teach to other people my passion and when you feel that someone can fly a plane and you are the person who make this possible is the most regarding thing in the world. Q: How did you know that you wanted to become a Pilot? Flying is a lifestyle and that is what I really like about it. It changes you not only as a pilot but as a person. I started flying at 16 years old and I since then my personality changed, you start to deal with real problems that need immediate decision and action to be properly solved and you start to judge the situation from a lot of different perspective to make the right decision. The same principle that you apply to judge a meteorological condition, for example, can be applied to real life problems and the training you have as a pilot changes the way you think and act. Q: How did you come across Air Navigation Pro? What was your opinion about it? 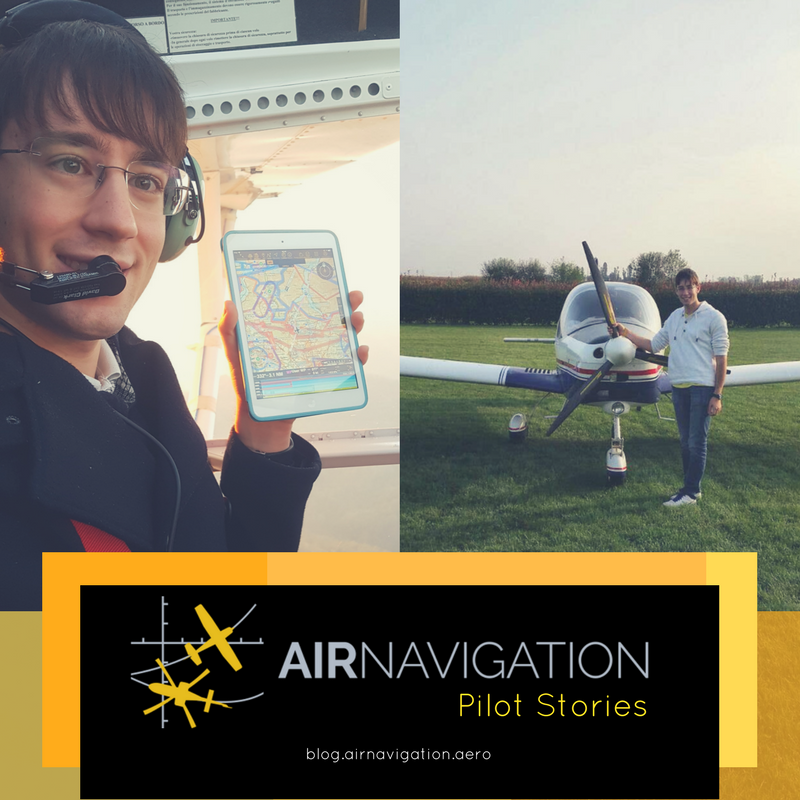 Once I’ve taken my pilot license my piloting skills started to improve, and I felt more and more the desire to go and fly to new places and discover new horizons, so here where Air Navigation Pro came into play. 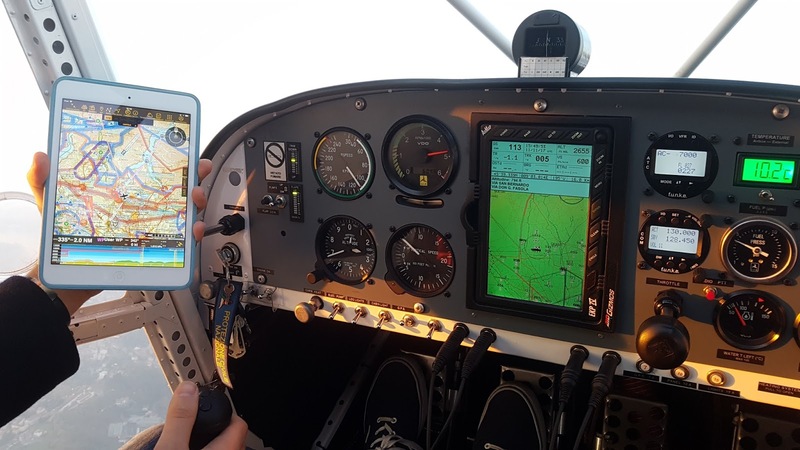 Since I was, and I am a student I didn’t have money to afford a Garmin GPS or something similar, so I started to do some research on aviation app that could do the job of helping me to navigate everywhere I like. I tried a lot of different apps, like “Garmin Pilot”, “Flight assistant”, “LK800”, “Sky Demon”, etc. but no one really convinced me. Someone where advertise like free but then you need a hundred euros subscription to make them work properly or other were just unusable. Finally, I got across Air Navigation Pro and in it I found everything I was looking for. It is easy to use, easy to change thing in flight and even if you don’t want to buy anything in the app you can still have a wonderful experience. Q: What are the 5 things you like about Air Navigation Pro? If I must describe 5 things that I like the most of Air Navigation Pro is its simplicity, its clear graphics, it gives you just the right flight data without overflowing you with thousands of useless data that during flight could only mess things up, its ability to have affordable and useful add-ons and that you can basically use one app to plan and execute your flight. Q: What would you tell people about Air Navigation Pro? To a non-user I would say that with this app you can practically do everything, you can plan your flight, you can apply instant changes to it and see all the flight data you need, you can very easily navigate with it and you can even export you flight plan and send it to other users so you can fly in formation with the same flight plan, you can connect it to a large variety of external sensors and you can even train yourself using it and improve you flight skills by connecting it to your flight simulator. I mean what would you want more than that? It’s fantastic. When I'm not flying I mostly study since I go to the university, but in the free time I like to do some fun project like building 3D printed autonomous flying drones or just general DIY project where I combine my engineering skills with my 3D printer to make cool projects and sometimes I post my project on a web site called Thingiverse so every one could replicate my projects. Finally I like to spend some quality time with my girlfriend and family. Q: Can you share with us what your future plans are? My future plans, once I finish the university, are to become a Flight Test Engineer, I really like that job and I hope I could succeed in doing that. It's an amazing job where you can combine engineering with real flying (not like the engineers who project an airplane and never trying to fly it) and testing new equipment or systems. Q: Where are your dream travel destinations? If I have to choose where I like to travel in the future are definitely the Scandinavian countries and even better wold be if I manage to fly there in my small airplane. That would be the flight of a life time. Then I'd like to visit Canada, Japan and the South Pole. I know that the South Pole sounds a bit ambitious but it's a place that I really want to see and that fascinates me a lot. Thanks for sharing your awesome story with us, Mirko! Mirko also has a Youtube channel where he experiments with 3D Printing and other cool stuff. You can go check it out if you're interested in the kind of functional art pieces he creates.